Seder at the home of Hugo Brill, Herzebrock, 1934. Co-presented with Hebrew Union College – Jewish Institute of Religion, with an introduction by David Adelson, Dean of the HUC-JIR New York Campus. The Pew Research Center’s study on Jewish Americans in 2013 alarmed some observers by showing rising intermarriage, falling birthrates, and dwindling religious affiliation among the non-Orthodox. 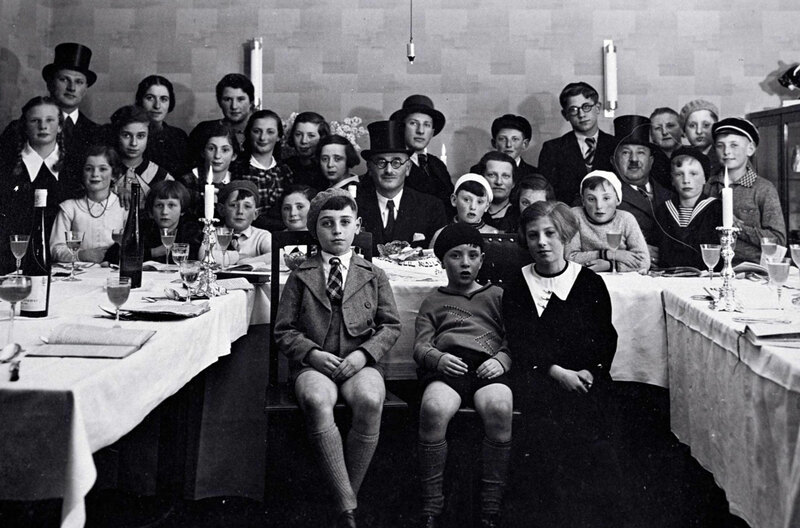 In the late 19th and early 20th centuries, Germany’s increasingly prosperous Jewish minority confronted similar questions about the nature of Jewish identity and the viability of Jewish communal life in a secularizing society. 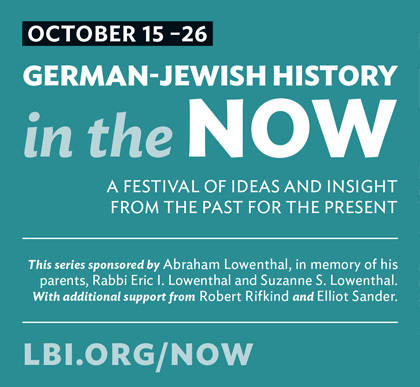 Samuel Norich, president and former publisher of the Forward, will moderate a discussion with Steven Cohen (Hebrew Union College) and Robin Judd (Ohio State University) about the parallels and contrasts between the situations of German Jews a century ago and American Jews today. Samuel Norich is the president of the Forward and has served as executive director of the Forward Association since 2000. He was the publisher of the English and Yiddish Forward for 19 years until 2016. He was born in Germany in 1947 and immigrated to the United States in 1957. He attended Columbia University as an undergraduate, and the University of Wisconsin-Madison and the Hebrew University of Jerusalem as a graduate student. Norich served as executive director of the YIVO Institute for Jewish Research from 1980 until 1992, and as vice president of the World Jewish Congress from 1975 to 1981. Norich is the author of What Will Bind Us Now? : A Report on the Institutional Ties Between Israel and American Jewry (1994). Steven M. Cohen is Research Professor of Jewish Social Policy at the Hebrew Union College-Jewish Institute of Religion (HUC-JIR) in New York and Director of the Berman Jewish Policy Archive at Stanford University. He has written hundreds of scholarly articles and policy-related reports, as well as a dozen books including The Jew Within (with Arnold Eisen, 2000) and Two Worlds of Judaism: The Israeli and American Experience (with Charles Liebman, 1990). He was the lead researcher on the Jewish Community Study of New York: 2011 and a consultant to the Pew study of American Jews published in 2013. Robin Judd is Associate Professor of History at Ohio State University. Her book Contested Rituals: Circumcision, Kosher Butchering, and German-Jewish Political Life in Germany, 1843-1933, was published by Cornell University Press (2007). She is currently completing her newest book project, Love, Liberation, and Loss: Jewish Brides, Soldier Husbands, and Communal Reconstruction after the Holocaust. Judd currently serves on the Academic Advisory Board of Leo Baeck Institute.